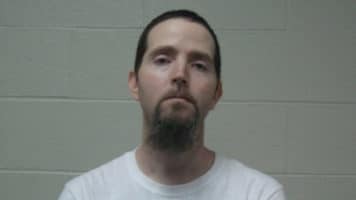 An Internet Crimes Against Children (ICAC) Investigation, involving an individual seeking and receiving Child Exploitation Material, led the Boone Police Department and North Carolina State Bureau of Investigation to a private residence off of Quail Ridge Lane in Boone; the residence of Timothy Scott Hardin. Agencies involved in the investigation were the Boone Police Department, Watauga County Sheriff’s Office and North Carolina State Bureau of Investigation. Each agency is part of the North Carolina ICAC Taskforce, which is continually engaged in proactive and reactive investigations and prosecutions of persons involved in child abuse and exploitation of children involving the internet. On November 24th, 2017, as a result of the investigation, Timothy Scott Hardin, 42 years-of-age, was charged with the following crimes. Hardin’s court date was set for January 29th, 2018, and his conditions of release were set as a $100,000 secured bond.